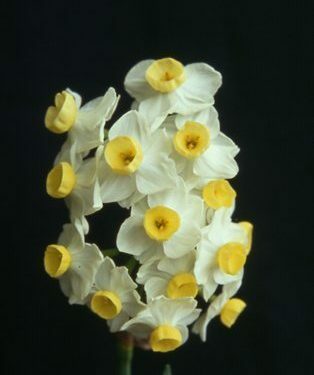 Characteristics of Section Tazetta clearly evident: usually three to twenty flowers to a stout stem; perianth segments spreading not reflexed; flowers usually fragrant. 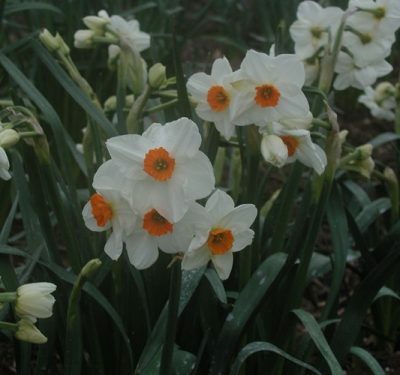 These plants are the result of many years of breeding and can really de divided into two types. 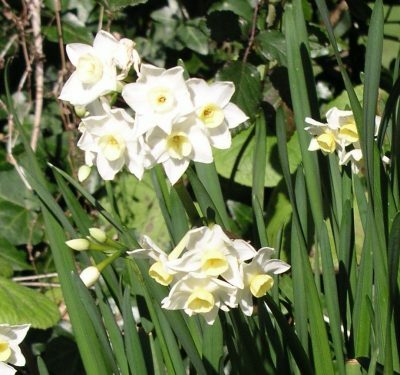 They are with the exception of “Minnow” all quite big plants, some do have very tall stems and foliage. 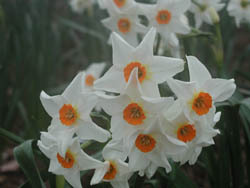 The first kind are more of the true N.Tazetta species in form. 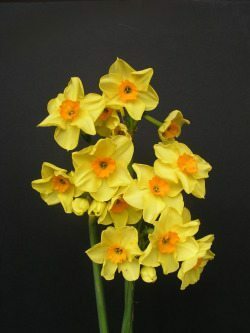 As the species is generally found in warmer regions of Southern Europe and the Mediterranean. 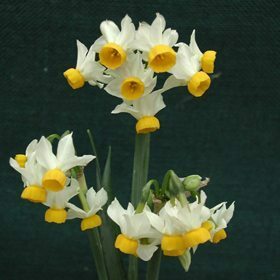 They are somewhat tender and do require a hot dry summer period to perform at there best, however they are well worth trying, when each stem could have up to 15 or 20 highly scented florets. 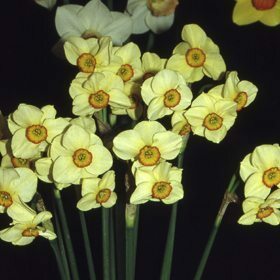 The second group or kind is the “Pooetaz”, thes are slightly different in style and have fewer florets, and the scent is an admixture of the N.Tazetta and that of the N.Poeticus from which these hybrids have been derived. 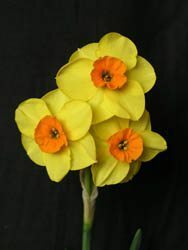 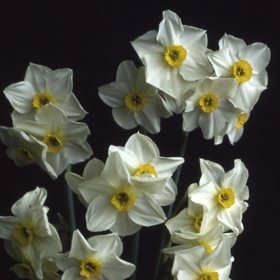 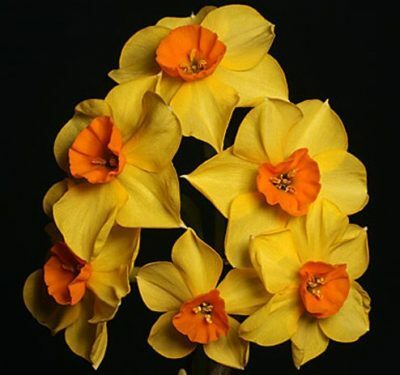 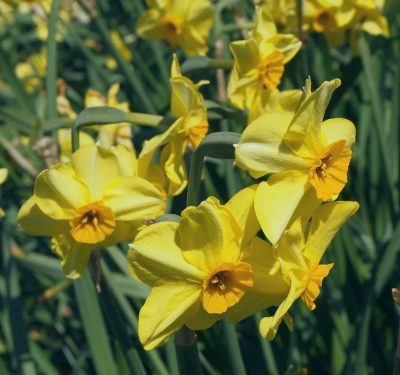 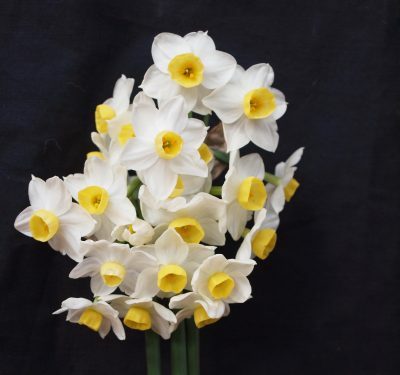 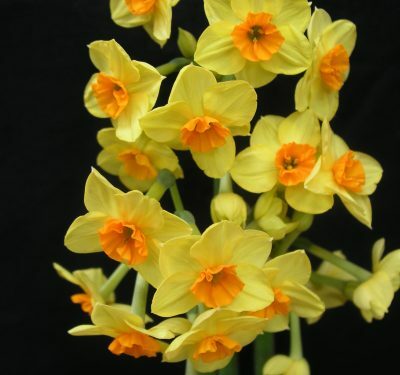 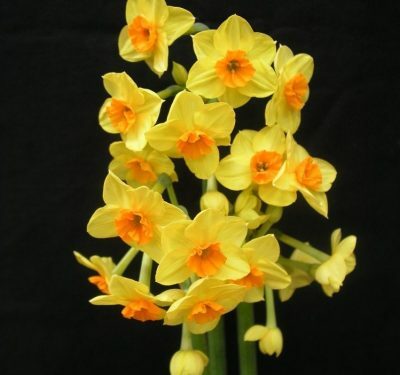 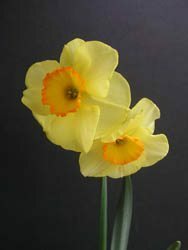 It is the poeticus part that makes these much hardier and do withstand our winters as well as any other of daffodil.